Newsletter templates enormously facilitate filling an newsletter with content. They enable pre-definition of static newsletter content (e.g. 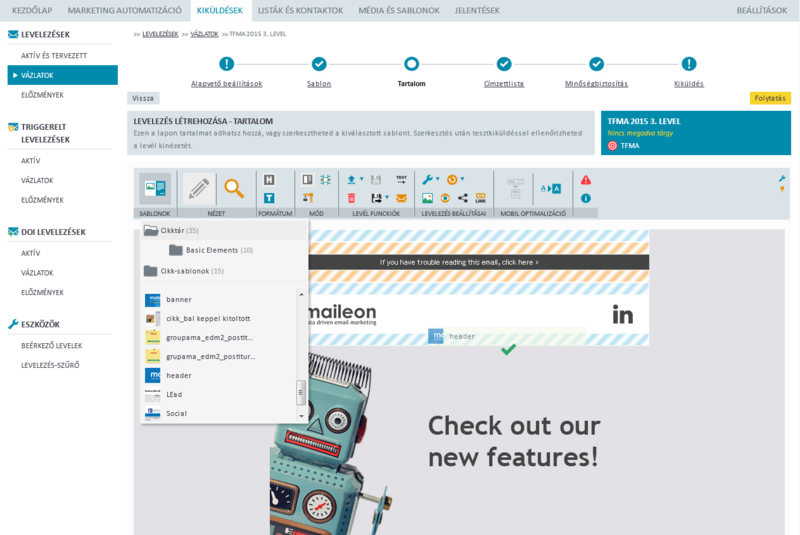 footer area) and content areas for the newsletter articles (slots). You can define properties such as colour and size, but also precisely define how many and which articles the newsletter editor can place. 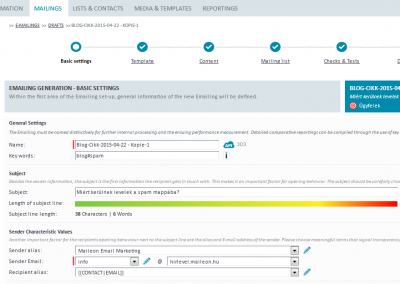 In line with newsletter templates, article templates assist in filling a newsletter with content. You can regulate the design of an article by choosing the appropriate template. Since you can specify the degree of editing freedom for the writer, the bandwidth of conveyable newsletter designs can be increased. 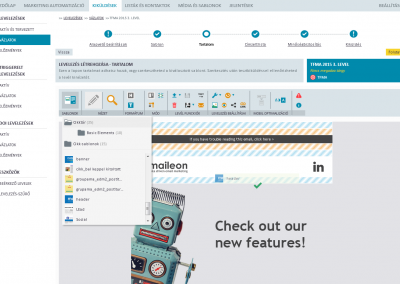 You can create typical design variations with the help of article components. Using the Drag&Drop function you can quickly and easily place articles in any newsletter template slot. This is an intelligent function since it recognizes whether or not the selected article template is permitted in the desired target slot. If it isn’t, the system will automatically offer to transform the content to an article template which is permitted in the target slot. Our system supports reuse of content on all levels. This way any newsletter can be saved as new draft at any editing stage. In the same way, a copy of each article can be filed in the article library. Newsletters and articles can be duplicated any time in order to efficiently reuse existing content and structures. 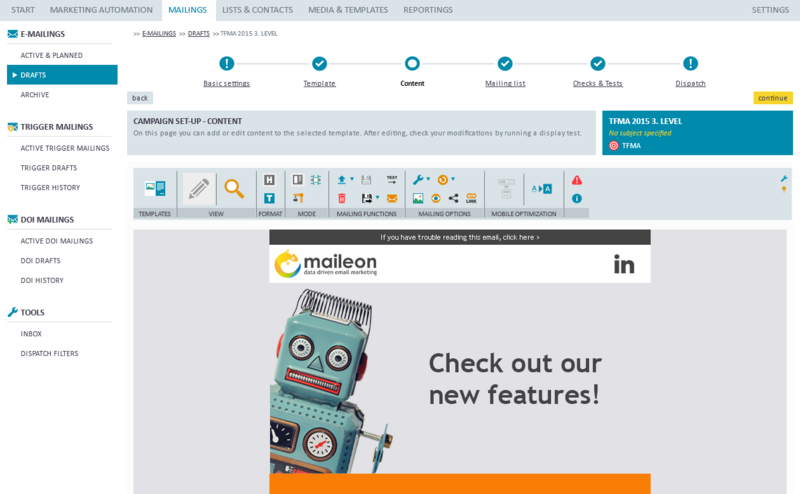 In each XQ:Maileon account you will find standard libraries for frequently used text elements (e.g. texts for welcome mails or Christmas mails) and furthermore several thousands of images and icons you can use free of charge. 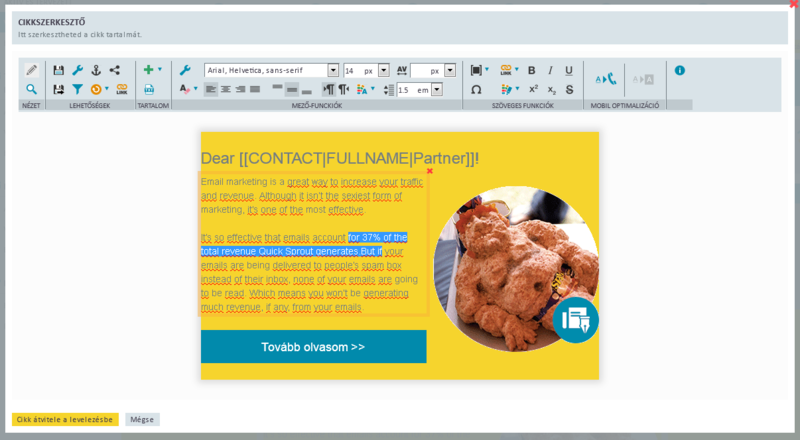 You can edit any newsletter text in the WYSIWYG article editor. 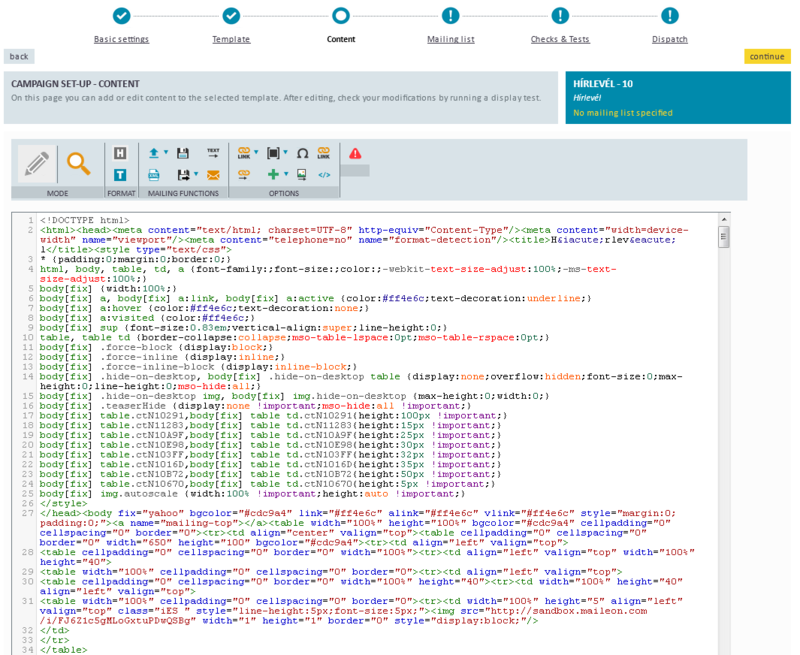 The article editor’s scope of functions can be regulated in detail in the article template settings. You can rotate, scale, mirror or crop newsletter images in the article editor. Pictures can be repositioned easily and shown or hidden with just one click. 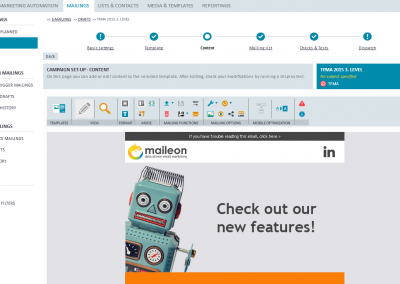 XQ:Maileon supports a number of special content formats like barcodes, QR codes, iCal or content from external sources such as RSS feeds. 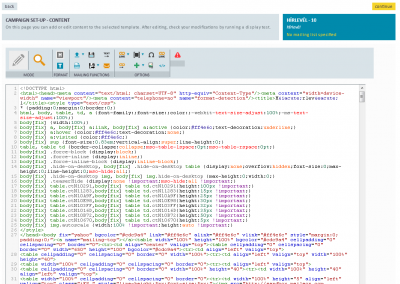 Text modules or entire articles can be made dynamic easily using the conditional content functions. 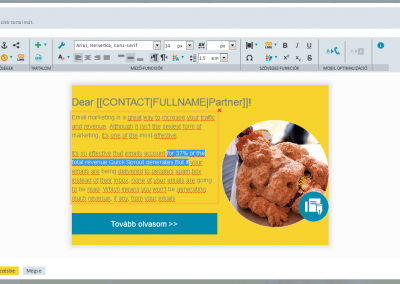 You can easily create and administer dynamic content by the use of a special editor, without the need for cryptic script languages or elaborate formulae. You can, of course, insert any profile field from the contact database, date and time functionalities or newsletter metadata into any newsletter slot by using placeholders. Comprehensive testing tools ensure that the dispatched content meets the desired quality criteria. These are, among others, checks for email size, link accessibility, suspicion of spam and phishing, spelling. The extent of the tests can be flexibly configured and broadened any time if required.